With Northern Ireland reverting back to single-seat constituencies under the First Past the Post system, this election was to prove different to the two which had come before it. The change in electoral system would make it very difficult for smaller parties to retain or win new seats, leaving the election in effect a contest between the Ulster Unionists and the Nationalist Party. The UUP was going to win a majority no matter what - it was the only party to field enough candidates to do so. The Nationalist Party fielded 11 candidates, all of whom were elected, while both sides were bolstered by Independent candidates. The unionists again outweighed the nationalists in this regard, however: there were 10 independent unionist candidates (3 of whom were elected, all in Belfast) while just one independent nationalist ran in South Armagh. He failed to be elected. Other, unaligned independent candidates similarly failed. 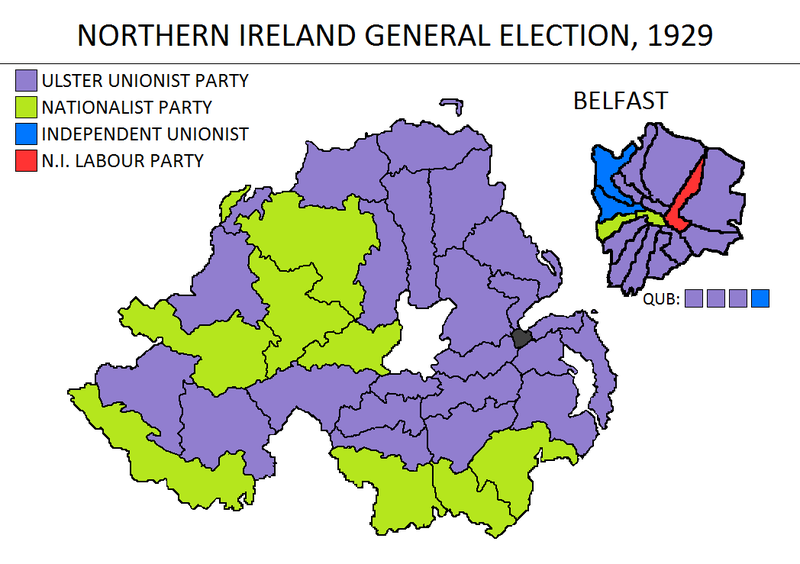 The Town Tenants' Association and Local Option Party were other unsuccessful non-aligned groups, while the Ulster Liberal Party, a branch of the main British Liberals, ran 5 failed candidates. The Liberals would later become subsumed into the Alliance Party. The only other party enjoy any form of success was the Northern Ireland Labour Party, which had 3 seats going into the election. They retained only one. The new constituency system was subject to stringent criticism from the nationalist community, which saw the boundaries as unfair and tailored to suit the unionist majority. The UUP, which had established these boundaries in government, denied any allegations of gerrymandering. Nonetheless, this election was the first of ten over a period of 40 years which would see minimal change to the political landscape in Northern Ireland. The seats that were held by unionists and those that were held by nationalists would largely remain this way for the lifetime of the Northern Ireland House of Commons. The only significant changes would be by smaller parties winning occasional breakthroughs, particularly in Belfast.